THE CITY OF MELBOURNE aims to be a sustainable ‘carbon neutral’ precinct in less than two years (2020). OUR WALKING TOUR explores locations where Melbourne’s architecture, design and planning is attempting sustainability. For example biophilic design, biomimicry, biodiversity, retrofitting (Millenium 1200), tree cover, green facades and roofs, rain gardens, nature in the city, recycling and waste disposal, litter traps, alternative transport, Green Star/NABERS ratings, water harvesting, wildlife protection, urban and cultural ecosystems, renewable energy, funding, research and cyber data. HOW do we find large-scale solutions to the doubling of Melbournes population and the rise of the new megacities of the world? WE PROVIDE each student during the with the IDENTITY of a sustainability champion and suggest practical steps they can undertake to assist the planet. Melbourne Walks is a member of the Yarra Riverkeepers Association. Federation Square, Atrium, Birramung Marr, Yarra River, FS Rain Garden, Hosier, BHP House, CH2 Collins, PMG House, 120 Collins, Degraves. Tours are two hours usually starting and finish Federation Square. 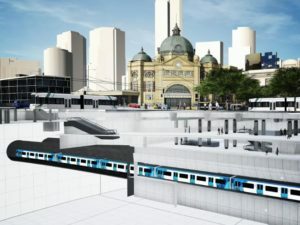 Locations may include Fed Square ( eg carbon neutral precinct, bees, biomimicry, watertanks, solar, electric charging, cyber data), Flinders St (bike, green transport, biophilic metro), Birramung Marr (eg solar, tree strategy biodiversity, storm water, littler traps, Indigenous sustainability,, biodiversity), Hosier ( walkability, social and heritage sustainability, connectivity), BHP (Green Star 6 building), Melbourne city council (renewable energy, wind farm), Council House Two (not inside – plant cooling, biomimicry, green energy), Coramandel (Green lanes project), Russell Street (residential sustainability and retrofitting), Collins ZStreet (corporate sustainability). In 2018 there were 145,000 residents in the City of Melbourne plus 900,000 people visiting weekly. This urban population will double over the next 20 years. 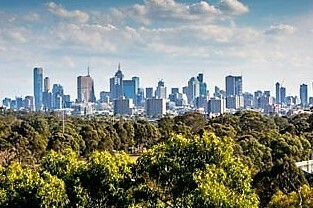 Greater Melbourne will be Australia’s largest city with 8 million people by 2055. Pressure is increasing on the environment, buildings, open space, businesses, transport and people. All species in our urban ecosystem will be impacted by climate change, storm and flood events, extreme dry periods, rising seas and heat. Sustaining healthy and livable spaces in Australia’s fastest growing city (and on Planet Earth) is the defining challenge of our time. We need to use smarter architecture and design technologies, reduce waste, use greener energy, improve social equality, cool our city with plants, walk and cycle, protect our wildlife and stop pollution. To reduce, re-use and recycle. Most of all we cannot do it alone, we must plan, educate ourselves and pull together: schools, communities, homes, business and government. Sustainability means being in balance – balancing today’s consumption and waste with tomorrow’s needs. Sustainability also aims for a society with respect for nature, human rights, economic justice and a culture of peace. To survive we need new and ‘greener’ models of environmental management, social responsibility and economic practice. Our Government accepts that our climate is heating up due partly to greenhouse gases from burning carbon-based fossil fuels such as coal and oil. This is why Melbourne City has strategies (below) to stop the increase in carbon dioxide emissions into the atmosphere (net zero emissions) by 2020. Nature in the City. Ten-year strategy to connect people to nature, improve urban ecosystems and biodiversity of Melbourne including plants, soil, insects, birds (239 species), mammals and frogs. Managing issues such as air pollution removal, carbon storage, urban cooling, healthy soil, stormwater control, wind abatement, water filtration, nutrient recycling. Urban ecology or ecosystem strategy: Study and management of the interactions between all living creatures and their physical city environment including blue (river), grey (built) and green (parks) networks. Caring for Country: Utilise land management and cultural practices of traditional owners. Urban Forest Strategy. 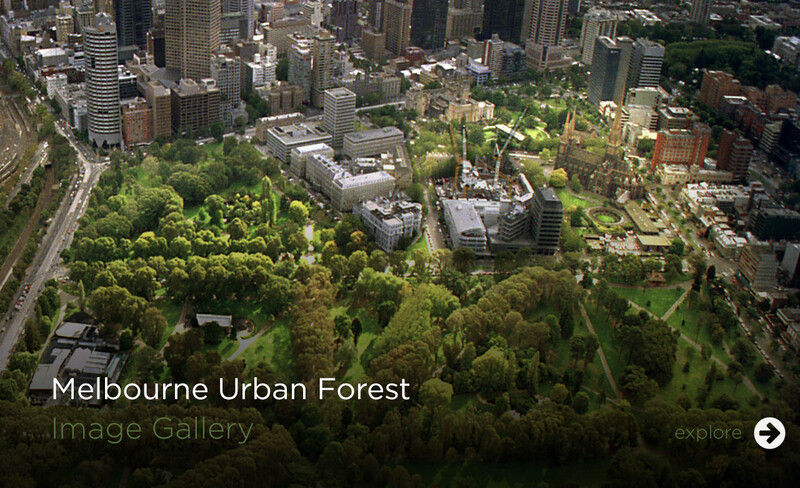 Doubling the tree cover in the City of Melbourne by 2040 to reduce inner city heat temperature, improve water use and adapt to climate change. There are currently 77.000 trees. Watermark Strategy. Improve water recycling and stormwater purity, reduce mains water consumption 40%, increase water capture from alternative sources. Degraves Street Recycling facility. 392 tons diverted from landfill. Biophilic design: The new $9 billion underground metro. All trams will be powered by solar energy by 2019. Green Lanes. Turning your small neighbourhood green. Sustainable Gardens : and urban food production to maximise the health of the city, ourselves and the planet. 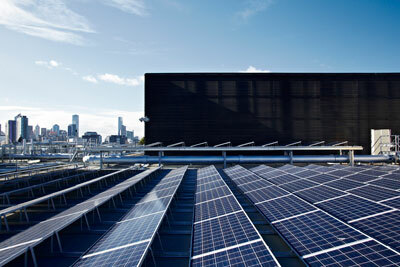 Melbourne Rooftop Project: Gardens, solar and cool roofs mapping. In June 2017 there were 78 roofs vegetation, 755 roofs solar panels, 322 roofs solar hot water systems. Rooftops could potentially carry 236 hectares (heavy) and 328 hectares (light) of garden ie almost 1400 acres!!! Bike share: 600 bikes, 51 stations, $3 per day. Melbourne Walking Plan. Walking safely creates a vibrant city, increase well being, economies and reduces fossil fuels. Increase to 30% of all trips. Walking connectivity/knowledge economy Increase walking connectivity 10% = $21billion per annum. Green Star and NABERS ratings VIDEO Building use 40% of the worlds energy. NABERS measures their efficiency. One star is poor. Six stars is market leader. E-waste locations. Reduce the 1000,000 tons waste TV, PCs and phone per year. Female Lights. Gender quality and ‘unconscious bias’. More education of girls reduces populations and greenhouse gases. SCHOOLS: RESEARCH SUSTAINABLE DATA FROM YOUR COMPUTER OR MOBILE PHONE!! How to count green and cool rooftops in CBD and solar panels.